Streamline the way you follow stock markets and your investments. Ready to start tracking markets they way you should? Stay on top of the financial markets and your favorite investments without sacrificing performance. 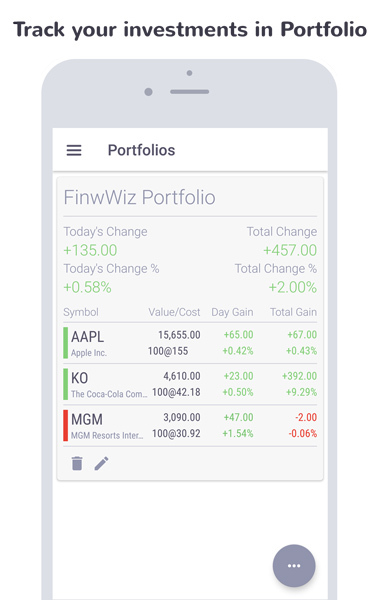 FinWiz is a light, fast but feature-packed app that makes tracking markets easy. If you like to customize the look and feel, you have two choices, pick your preference between Light and Dark theme. Sync all of your data to FinWiz Cloud so you will never lose it. Perfect for staying in sync if you are using multiple devices. Try your luck and invest in markets worry free. 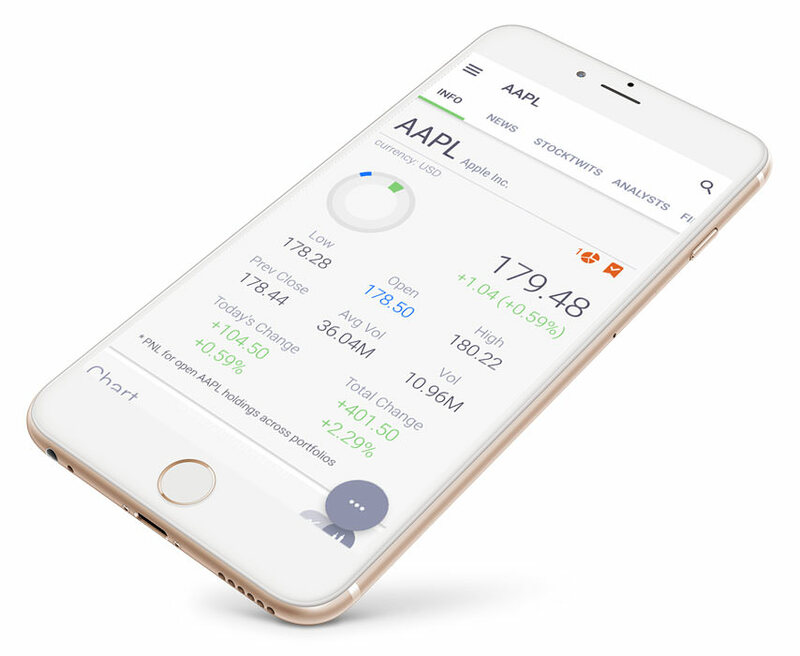 Track your investments from multiple portfolios all in one place. 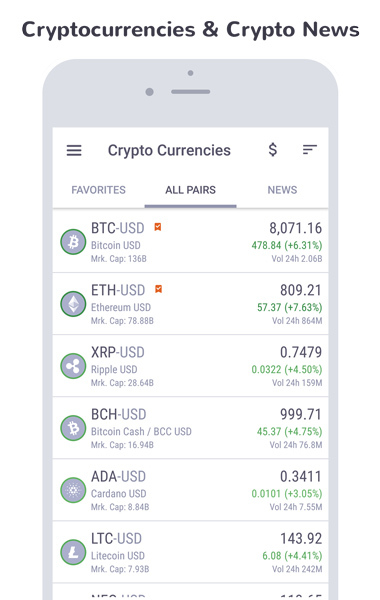 Get latest updates on your favorite cryptocurrency pairs and digital currency news. 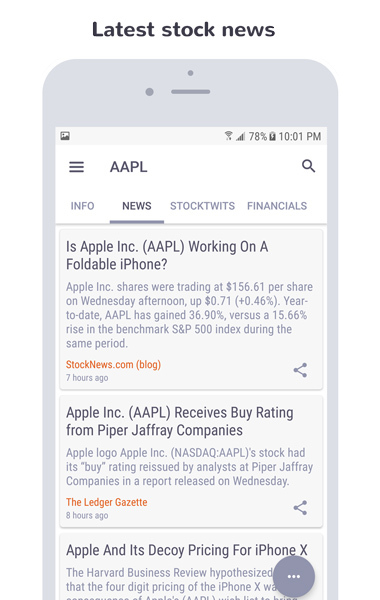 Set alerts on your favorite stocks, and get notified on your device when price is crossed. Experience cockpit design quote page. 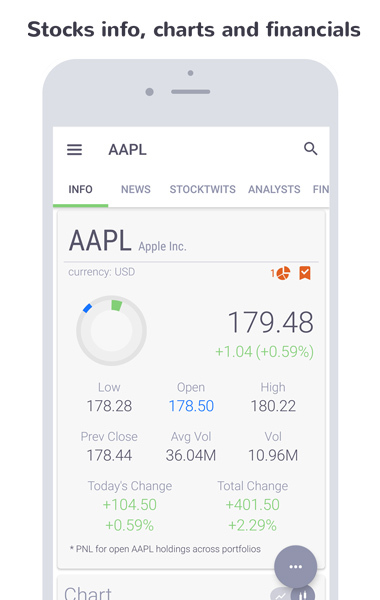 Real-time stock quotes, detailed company profiles, as well as more detailed financial information about company health, key statistics, analyst recommendations, latest news and earnings updates.Powerful mini and full-size charts with the large set of most popular technical indicators used in chart analysis. 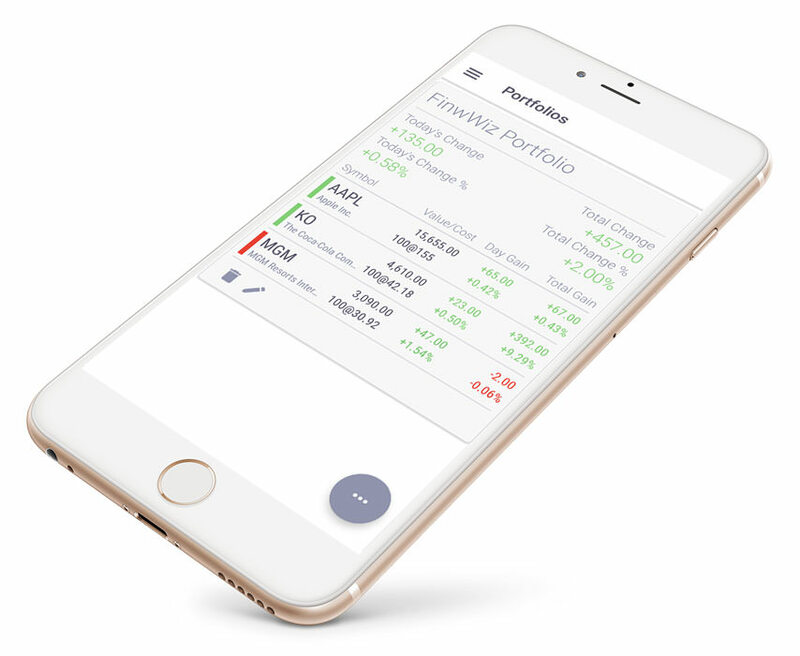 Set your preferred landing page in settings and each time you load FinWiz app information that matters to you will be at your fingertip in no time, perfect for quick lookup of market status and your own investments. 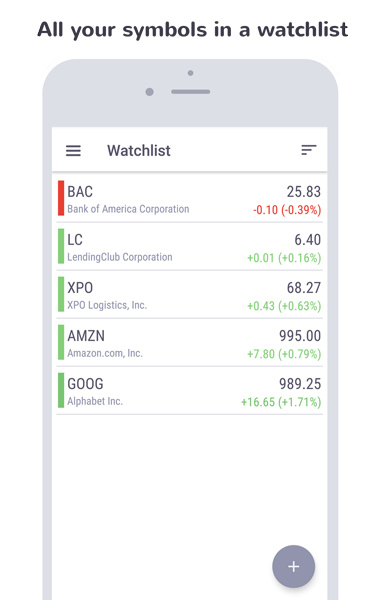 Quickly add your favorite stock to your watchlist and portfolio. Track your PNL gains across all portfolios for that symbol right in the quote page. 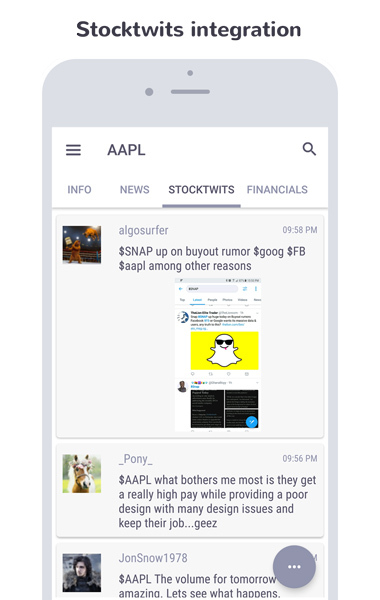 Keep track of all of your favorite stocks in one place. Sort them alphabetically or by daily % change. Easily go to quote page to get more details as you need. Quickly find out what is the state of the market with screeners like Top Gainers, Top Losers, and few dozen others. Build your own customized portfolio and invest in markets worry free. Track the performance of your investments over the time with advanced P&L calculations. Consolidate portfolios from multiple accounts and track them all in one place. 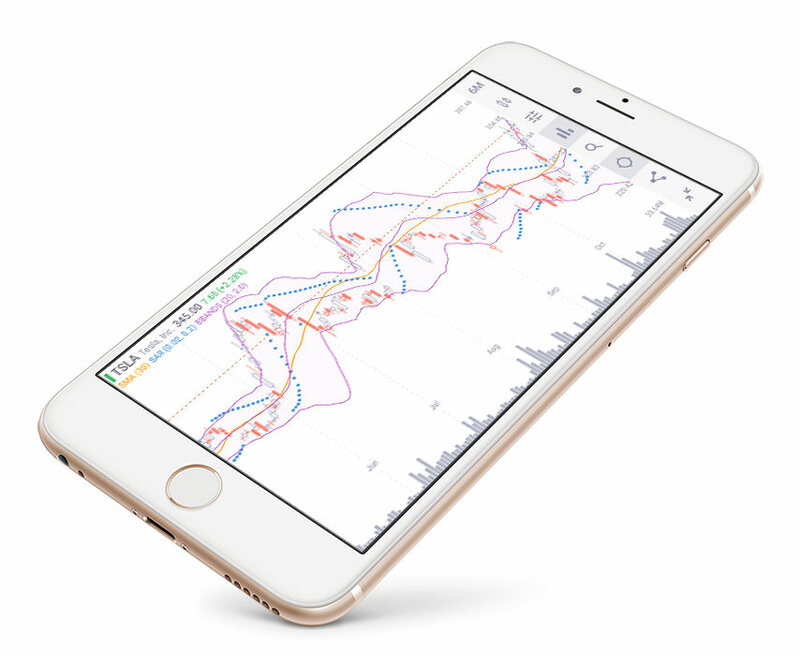 Fast and intuitive professional-grade charting solution. Comprehensive and easy to use advanced charts with 30+ technical indicators for quick analysis at the tip of your finger. 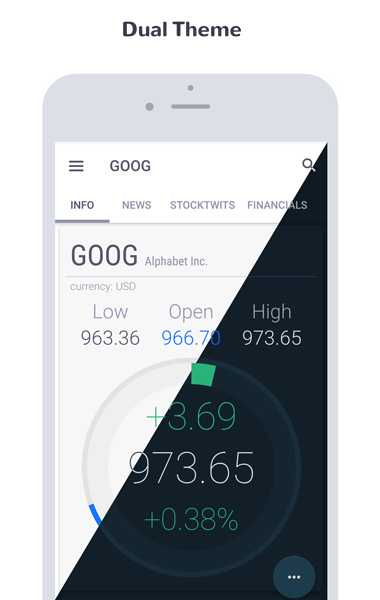 “Best finance app I have tried." “Of those that I have tried, and they are many, it seems to me the clearest, and the most useful." Ask us a question or send us an email, we try to answer all enquiries within 24 hours on business days.